Dubai sees the best cars on the market being launched in the city with much fanfare. Relatively more modest cars hardly get any attention. The 2018 Honda Odyssey has been a different story though, with a lot of folks in Dubai showing keen interest in the vehicle. This is clearly due to its attractive features, some of which we list below. The 2018 Honda Odyssey comes in multiple variants which include LX, Touring, and EX-L. This new model is also being offered in two additional attractive colours which were not there in previous iterations of the Honda Odyssey. The 2018 Honda Odyssey not only comes with an 8 inch touchscreen which has been paired to a built-in entertainment system, it also offers Garmin navigation that features an entire barrage of apps suitable for children. Moreover, you can actually setup a 4G LTE WI-FI hotspot inside the vehicle which is a first in itself. Using this, you will in turn be able to do so much such as control the car’s entertainment system as desired, run Apple CarPlay and more. A charging pad for smartphones has also been provided inside the vehicle. The 2018 Honda Odyssey is clearly a powerful beast! After all, it comes with a 3.5-litre VTEC V6 engine that has been mated to a 10 speed automatic transmission gear. Honda has gone all out to ensure safety in the 2018 Honda Odyssey. For instance, it has as many as eight airbags. Moreover, ABS and ESP are standard on the car across variants. 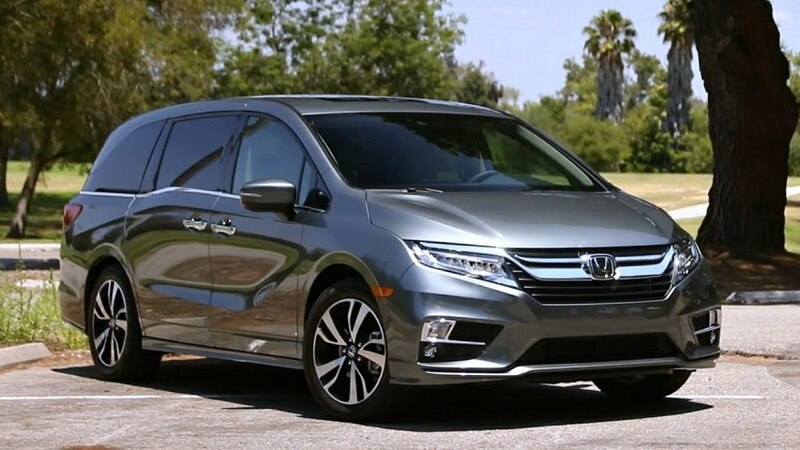 In case you opt for the Touring variant of the 2018 Honda Odyssey, you will be privy to the Honda sensing suite which is actually built into the vehicle. This suite comes with own set of safety dynamics which include pedestrian detection, monitoring of blind spots, warnings in case of lane departure, adaptive cruise control, forward collision warning, and much more. The 2018 Honda Odyssey does not compromise on comfort and luxury, with some select features on this front including ambient lighting, car seats that can easily be warmed and cooled as desired, a tailgate which is hands-free, as well as a heated tire. Notwithstanding so many attractive features, Honda has kept the price of the 2018 Honda Odyssey fairly modest at about AED 130,000. The 2018 Honda Odyssey certainly makes for a great choice in this segment. You can easily rent a 2018 Honda Odyssey here with us at Speedy Drive.